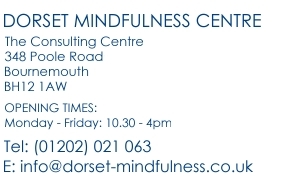 Mindfulness Teacher Training UK, Mindfulness courses Bournemouth. I completed the 8-Week MBSR mindfulness course in September 2015 and was left with the benefits of feeling healthier and happier." - Sue Robathan, Registered nurse & exercise specialist.